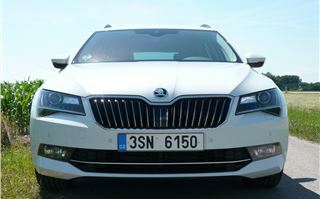 We tested the new Skoda Superb hatchback in May. 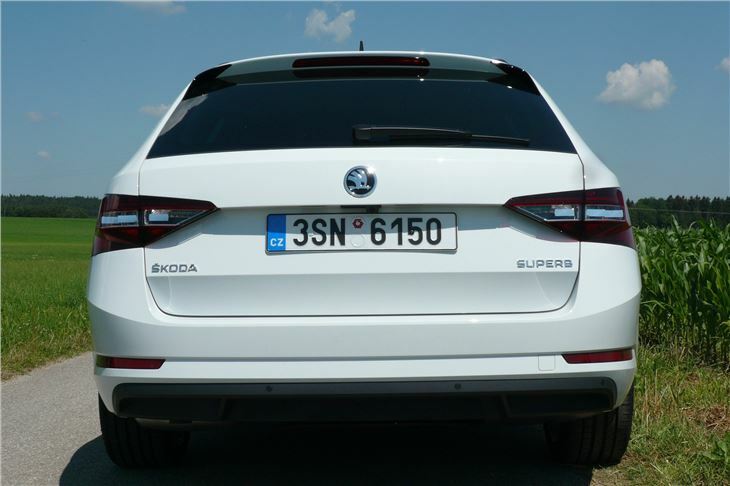 Here we look at the 2015 Superb Estate that comes in at a £1,200 premium over the hatchback and, of course, offers the increased practicality of a large, rectangular load area. Rather than repeat what we already wrote about the Superb hatchback here, this time we’ll concentrate on the differences and any further information we have gleaned. 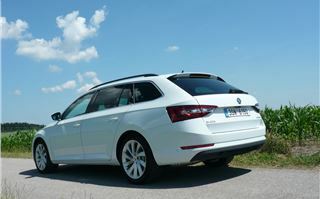 Skoda Superb estate prices start just under £20,000, rising to £36,000 for the 280PS 4WD DSG, with diesels from £21,240. The diesel engines achieve EU6 by virtue of their integrated exhaust manifold (manifold in head). Only the 2.0 litre190PS SCR version needs AdBlue. The economy champ is the 1.6TDI 110 DSG that manages 70.6mpg in the ECDC drive cycle and 105g/km CO2. 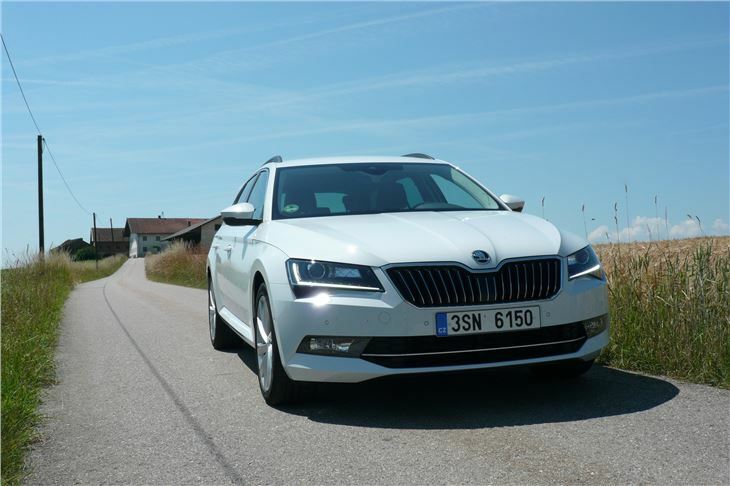 The Suberb estate’s two principal adversaries are the new Ford Mondeo estate and its sibling rival VW Passat estate, that shares many of its drivetrains. 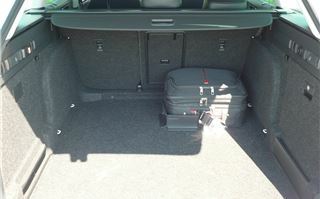 As before, the new Superb estate has more rear legroom and more luggage space than its rivals. You can have four different petrol and three different diesel engines. Manual or automatic gearboxes. It comes with two-wheel drive or four wheel drive. It’s well put together with high quality materials. 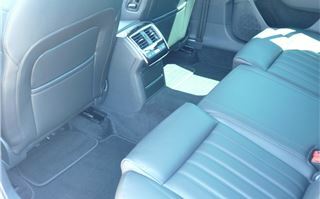 It’s comfortable, handles decently and is painless to drive. 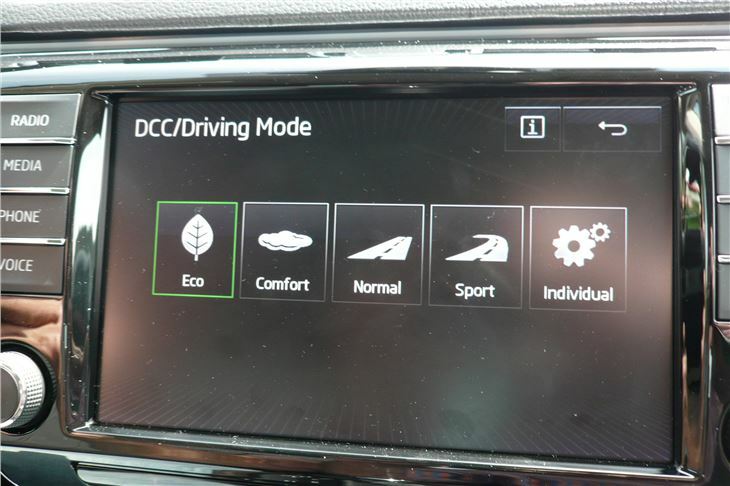 It’s available with all of the latest generation electronic knick-knacks, including five different drive modes and a gizmo that stops you running people over. 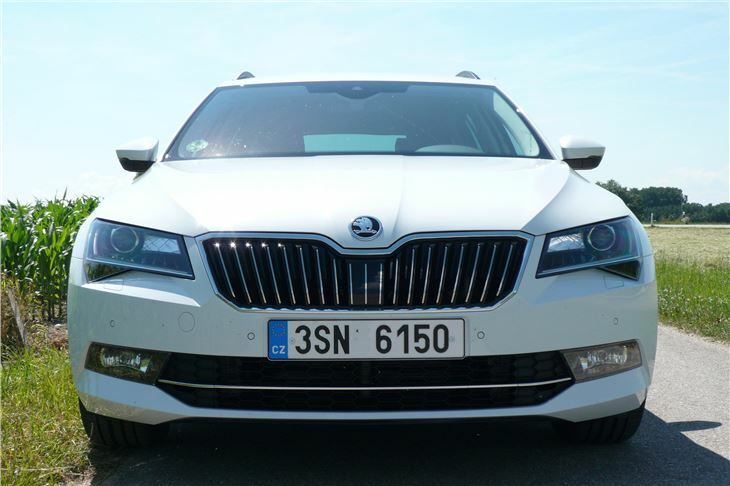 The Superb has now been rated 5 Stars in the new NCAP safety assessments. Despite the internal dimensions of Westminster Abbey, at first the Superb estate doesn’t seem to be a particularly good estate. 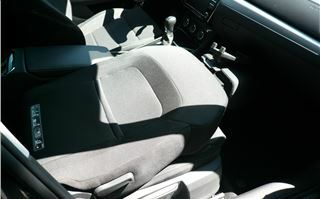 The rear seatbacks merely fold onto the squabs, leaving an uneven floor. So you need the remedy of the optional raised load floor that then makes the rear of the car a more level playing field. 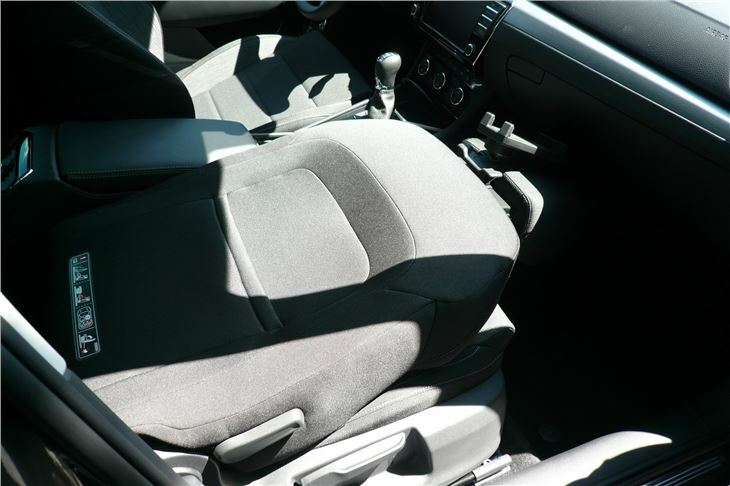 Additionally, you can specify a forward folding front passenger seat that, when folded, creates a load length of 3.1 metres: sufficient for a surfboad, windsurfer, stepladder, flatpack wardrobe or grandfather clock. And, though this is not confirmed, it looks as if, for RHD, the split folding rear seatback will fold 40/60, so two rear passengers can sit alongside whatever long load is being transported. 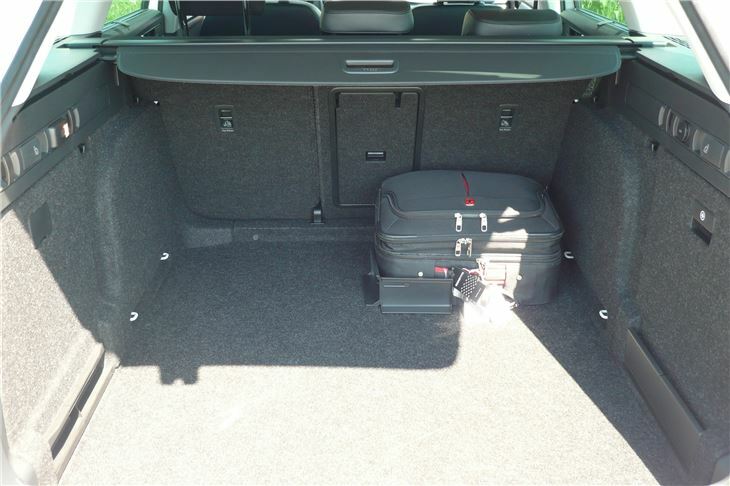 As well as that you get Skoda’s extremely clever Velcro pad luggage locators that are the simplest means I’ve ever seen of keeping bags in check. A real slap their forehead moment for other station wagon designers. Why didn’t they think of that? 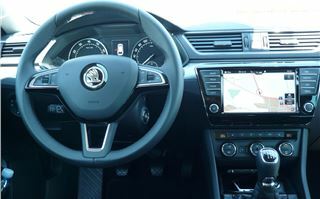 I drove a Superb 1.4TSI 150 ACT manual estate, a 2.0TDI 150 4x4 manual and a 2.0TDI 150 2WD DSG. The 1.4 was geared at 30mph per 1,000rpm in 6th and the 2.0TDIs both at 37.5mph per 1,000rpm in 6th. The 1.4TSI with Active Cylinder Technology was uncannily smooth and quiet. To the extent I could hear tiny driveline sounds that would otherwise be drowned by engine noise. 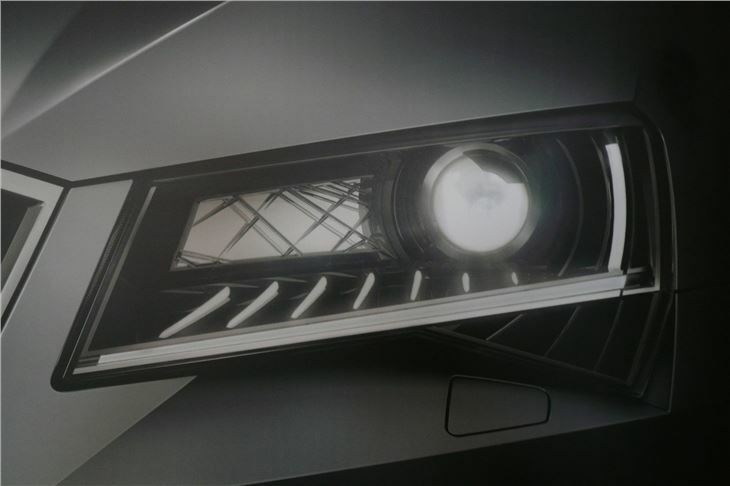 As well as that, with maximum torque from just 1,500rpm, it is ideally geared to ‘block change’, so 3rd to 6th; 6th to 3rd; 4th to 6th, etc. all present no problem. And on an unrestricted stretch of Autobahn, it pulled 210kmh in 4th gear no bother at all (131.25mph). The diesel 4x4, with maximum torque from 1,750rpm and higher overall gearing is neither as forgiving, nor as pleasant to drive. But it does the job, and with more torque (340Nm v/s 250Nm) it’s obviously better for towing duties. 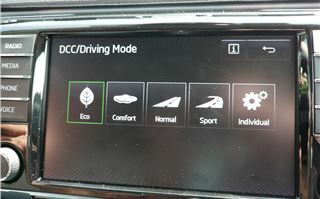 It also grips more securely on mountain roads, but one criticism is the lack of information fed from the front wheels to the steering wheel, especially on 235/45 R18 tyres. The 215/55 R17s are a bit better in this respect. 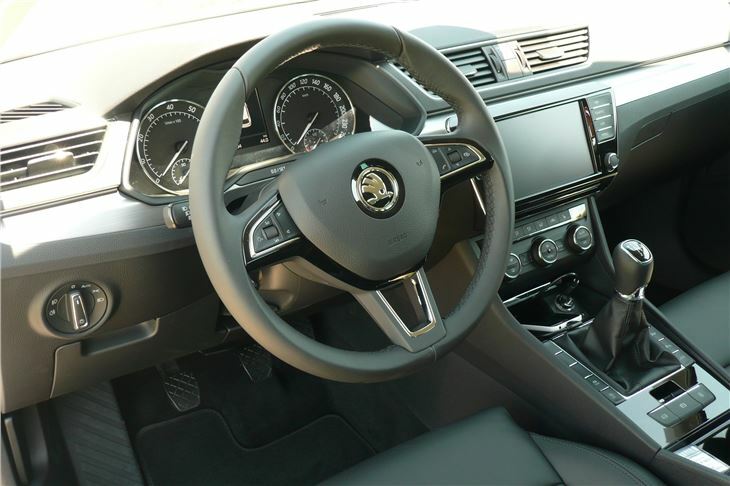 Happily the 2.0TDI 150 DSG was fitted with Active Cruise Control and City Brake that came in very handy in Autobahn traffic jams. Just set the ACC to a modest speed and play tag with the car in front because the combined effect of the two systems mean you can never hit it even if you fall asleep from boredom. Finally, the new satnav system is worth a mention. Driving as Johnny no friends for a total of around 275 kilometres I never once wrong-slotted or made a stupid mistake. Traffic sign recognition means you’re always aware of the prevailing speed limit. And a separate volume control for the route guidance means you don’t have to adjust it with the radio volume knob. 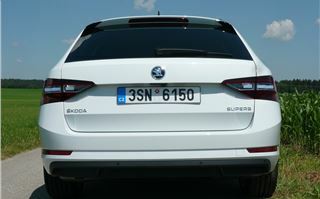 Back in May, we raved about the Skoda Superb hatchback, and it appears that ‘Auto Express’ has now done so too. The estate is even better. Well priced. Petrol or diesel. Manual or automatic. 2WD or 4WD. 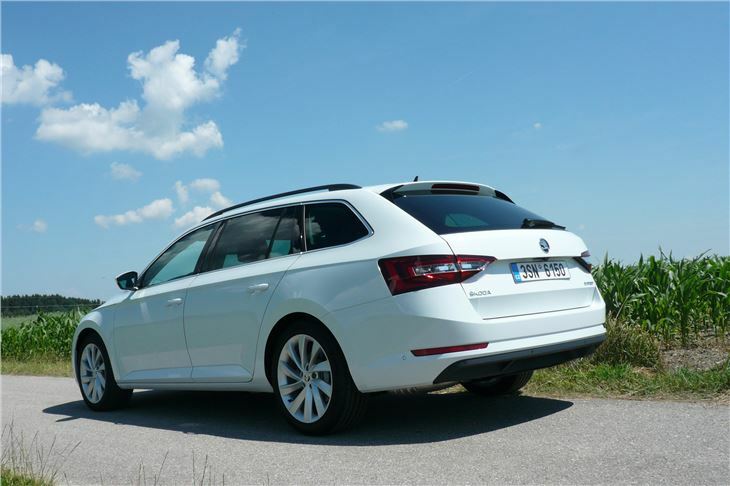 If you need a big estate car and aren’t too worried about sporty steering, it’s pretty much a one stop shop.